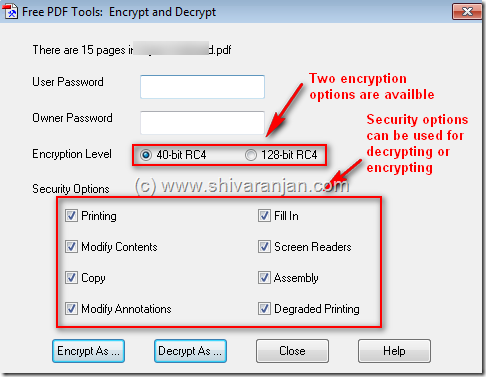 PDFill PDF Tools is a free collection of PDF tool using which you can Merge, Split, Reorder, Encrypt, Decrypt, Rotate, Crop, Reformat, Header, Footer, Watermark, Images to PDF, PDF to Images, Form Fields Delete/Flatten/List, and PostScript to PDF. 1. Merge multiple PDF files: Merge two or more PDF files into a single PDF file. 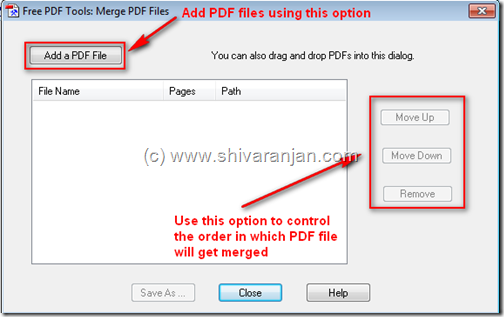 To merge multiple PDF files add the files and select the order in which you would like to merge the files and then using the save as option save it. 2. 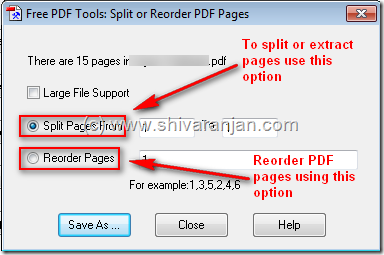 Split or Reorder PDF file: Extract pages from a PDF file into a new file and reorder the page sequence into a new file. Use this option if you would like to select a selectively. 4. 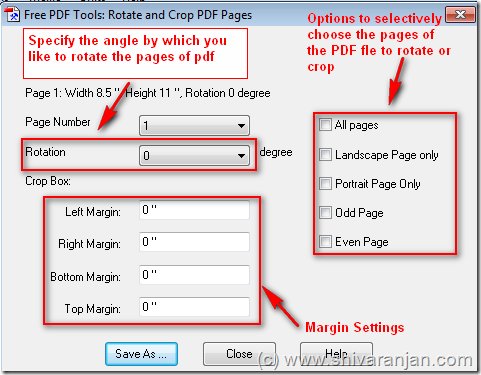 Rotate and Crop PDF File: Rotate a PDF page by 0, 90, 180 and 270 degree. 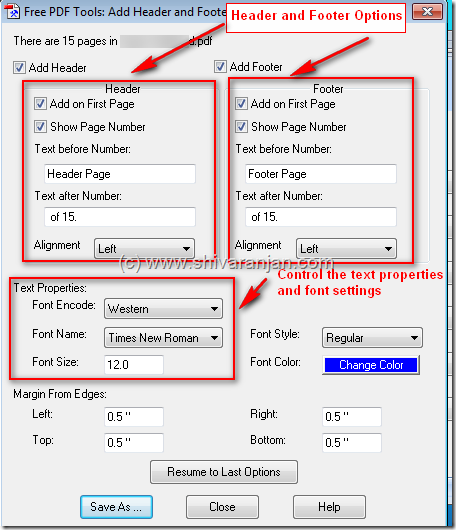 Crop a page to modify its layout of Print or View by specifying its margins. You can crop or rotate PDF files by selectively with options like Landscape pages only, portrait pages only, odd pages and even pages. 5. 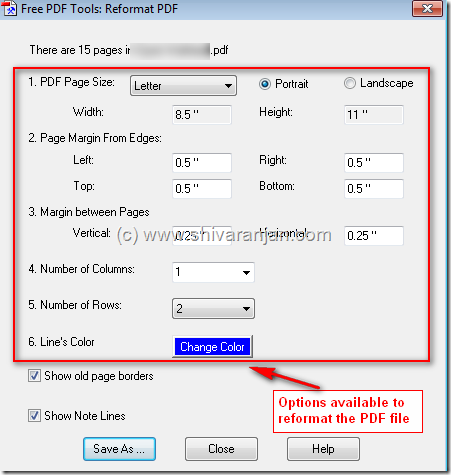 Reformat PDF file: Put multiple pages into one page to save paper and inks when printing hard copies. The following options are available: change the PDF file page size, change the margin from the edges, modification of margin between pages, number of columns, control the line colours and etc. 6. Add Header and Footer to PDF file: Add Headers and Footers to present information, such as date, time, page numbers, or the title of the document, in the top or bottom margins of a document. 7. 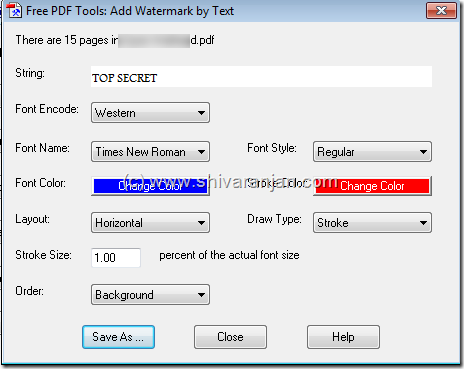 Add Watermark by Stylized Text to PDF: This option allows you to watermark the PDF files with styled text, you can use various fonts, colour of fonts, layout and etc to add your watermark. 8. Add Watermark using Image to PDF file: Watermark the PDF files using an image file, the following image files are supported: bmp, jpg, gif, png, tiff, and wmf. 10. 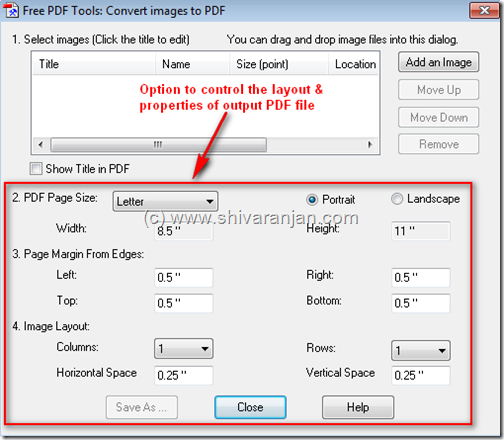 Convert PDF into images: Save PDF pages into images (png, jpg, bmp and tiff) with DPI options. 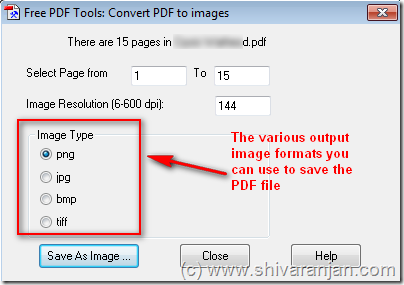 This option can be used a pdf to image file converter. 11. 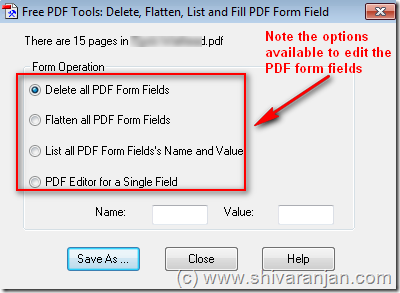 Edit PDF Form Fields: Delete, Flatten or List the PDF Form Fields inside a PDF file. 12. 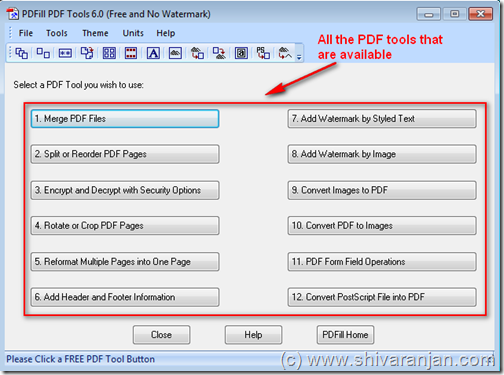 Convert PostScript(PS) File into PDF: Converts PS file into PDF files so that it can be opened in PDF readers. As you can see this 12-in-one PDF file tools is very useful, it is highly recommended that if you use PDF file quite often then this tool is a must have for you. This tool runs on all versions of Windows and requires Java to be installed. over the internet without my permission. Do you know any ways to help prevent content from being stolen? that i love to find out more and more. background knowledge, I only like to switch them rather often. A number of them are rife with spelling problems and I find it very troublesome to inform the reality nevertheless I’ll definitely come again again. great insight. Really enjoyed reading this blog. their own. One Pride” campaign to unify the city behind the team. then advance past towers to destroy the enemy base. I’ve joined your rss feed and look ahead to in search of extra of your great post. bother in a free trial.